F. Thomas Porcelain Factory, Bavaria Handpainted Plate. Imported for Mutual China Company, Indianapolis. Three Pink Flowers at edge with gold trim and green background. 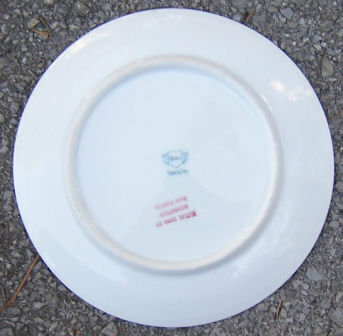 Plate is 7 1/2" across. Very good condition. 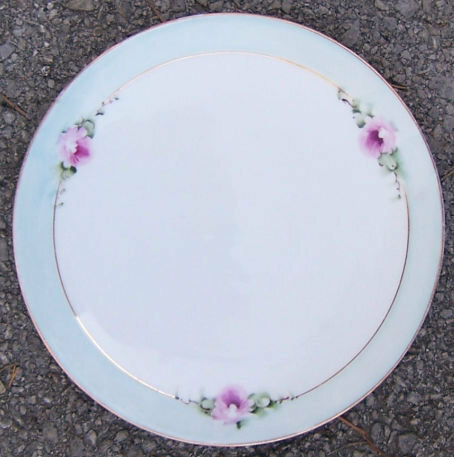 Items Similar To "Bavaria Handpainted F. Thomas Pink Floral Plate"